"All Hail King Julien" Premieres on Netflix Today! | DaDa Rocks! 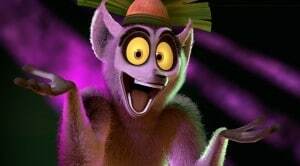 “All Hail King Julien” Premieres on Netflix Today! The world’s biggest party animal is getting ready to ascend to the throne in DreamWorks Animation’s ALL HAIL KING JULIEN, an all-new Netflix original TV series. The first five 22-minute episodes will be available to Netflix members in the U.S., Canada, Latin America, UK, Ireland, the Nordics, Benelux and France to watch instantly beginning today, Friday, Dec. 19. PreviousAll 50 Free Comic Book Day Comics Announced! NextNight at the Museum: Secret of the Tomb could be the Best Sequel Ever!